Learn all about meteorites with this hands-on activity: where they come from, how they got here, and what they are made of. 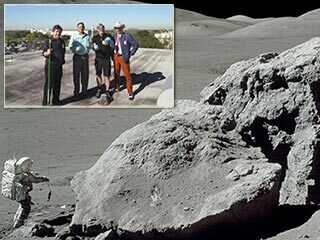 Compare the characteristics of meteorites and Earth rocks in this engaging activity. Did you know that there are people who can help bring the wonders of the universe to Earth living right in your own community? 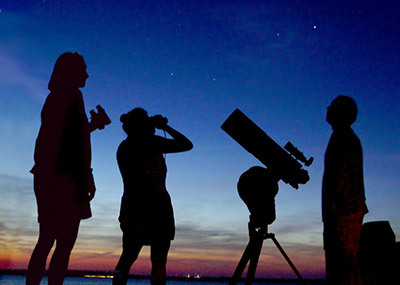 These resources will help you find out how to partner with these enthusiastic volunteer astronomers. 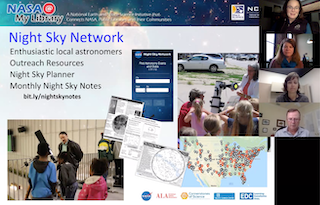 The NASA Night Sky Network welcomed Dr. Michael Zolensky from NASA's Johnson Space Center to its monthly webinar series on Tuesday, March 26, 2019. 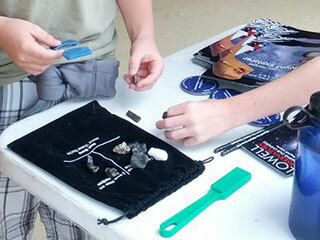 Dr. Zolensky introduced us to NASA's collection of space materials. The NASA Night Sky Network provides these monthly articles about what to observe in the night sky and updates on NASA missions to share with your organization's newsletter or website. You are welcome to check back here by the 25th of each month for the following month's article, or sign up here to be reminded each time a new article is released. NASA's volunteer Solar System Ambassadors are space enthusiasts from various walks of life who are interested in communicating the excitement of space exploration missions with their local communities. 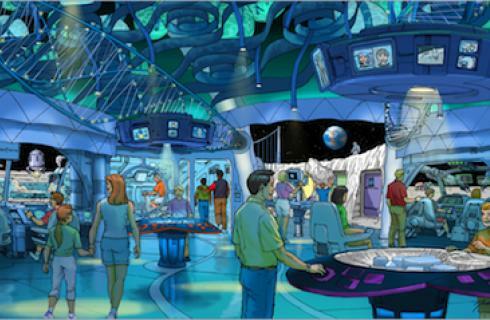 NASA's network of informal educators include staff at museums, planetariums, observatories, and more from across the country. The Alliance is a great place to look for partners, collaborators, or even a venue for your own events.